Despite the heavy rain earlier in the week, the sun cleared up for West Ranch to host their Open House on March 20, 2019. While families were relaxing at home before the big event, the school was bustling with activity. 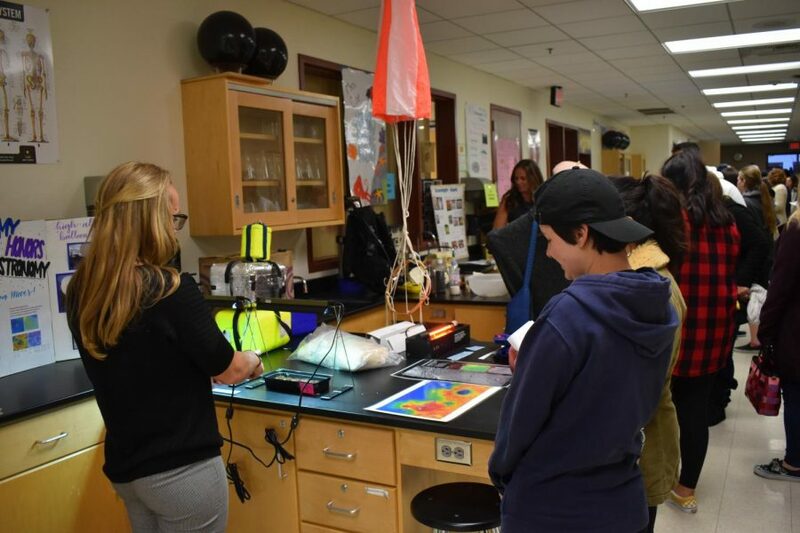 Many sports teams set up tables in hopes of recruiting more members; art and photography pieced together yet another amazing exhibition, and teachers frantically prepared to meet the parents. “Open House is a great time to recruit more members and meet many different people,” colorguard coach Esther Kamp said. Parents and students alike came together to enjoy a night out at West Ranch High School. Parents scrambled from classroom to classroom, eager to talk to teachers to see their child’s progress throughout the year. Students covered their eyes in embarrassment, but regardless, they had fun as they accompanied their parents. 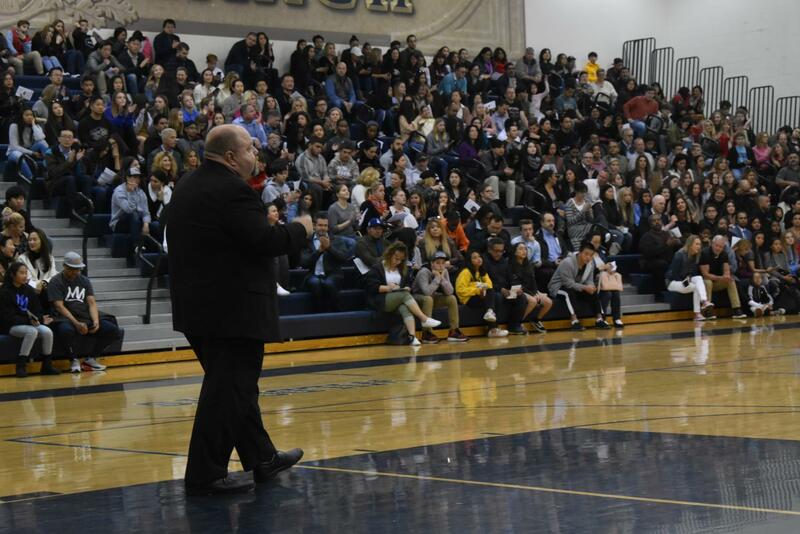 Incoming freshmen were able to get a taste of West Ranch as Mr. Crawford hosted an assembly earlier in the evening in the gym that introduced the many extracurricular activities West Ranch has to offer including cheer, choir and many more. “I’m really excited for high school! I am most looking forward to the academics and colorguard,” Naomi Sanchez, a Rancho Pico 8th grade student, gushed. By 6:30 p.m, the school was filled with energy. West Ranch TV walked around campus to interview parents for their live segment. Freshmen families walked around campus, many in a frenzy to take in the school they will be attending next year. When the families were feeling peckish, they were able to enjoy French and Spanish cuisine in the language buildings, made by the students. Overall, the night was a success, and it couldn’t have been done without the team effort of all the students, teachers and administrators. West Ranch opened its arms to many families, new and old, to come together to celebrate the West Ranch family. Until next year, Open House. Science teachers all gather in the core to present students' projects throughout the year.